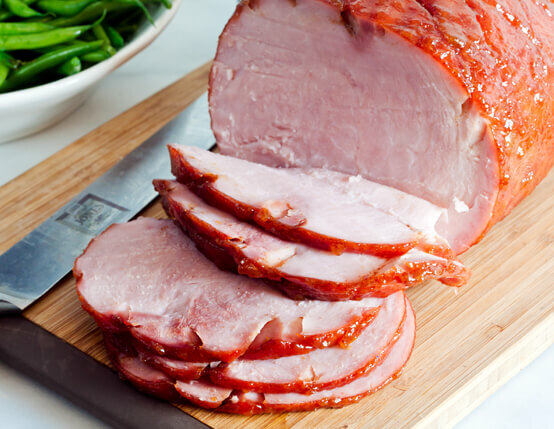 Sweet peach preserves and cinnamon enhance the authentic hickory smoked flavor of our Certified Gluten-Free hams. Perfect for a special weekend dinner. 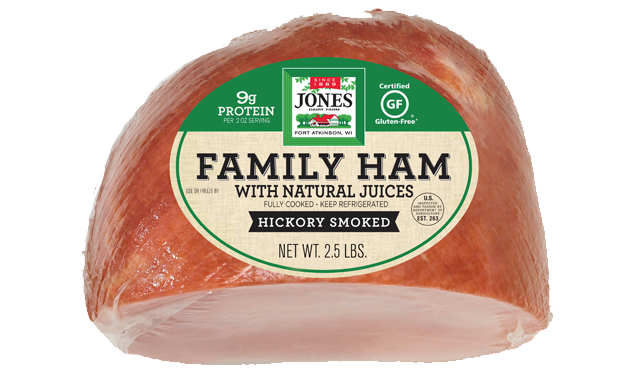 This recipe is made with Jones Boneless Ham. Unwrap ham and place in large roasting pan lined with heavy-duty aluminum foil. If desired, use sharp knife to score surface of ham into diamond shapes. Combine preserves, vinegar and cinnamon; mix well. Spread 1/3 of mixture evenly over top of ham (glaze will melt and spread as it cooks). Bake 1 hour; spread 1/3 of preserve mixture over surface of ham; continue baking 1 hour. Spread remaining preserve mixture over surface of ham; continue baking until internal temperature of ham reaches 145˚F, 30 to 45 minutes longer. Transfer ham to carving board; let stand 5 minutes before carving into slices. Let us know what you think. Did you make any changes? Will you make it again?